NASHVILLE, Tenn., April 12, 2012 – The Country Music Hall of Fame® and Museum’s special exhibition Chet Atkins: Certified Guitar Player, which was originally scheduled to close June 11, 2012, has been extended through July 15, 2012, museum officials announced today. 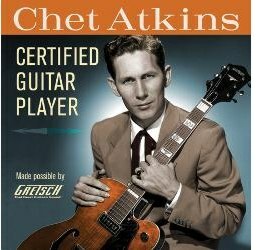 The exhibit is being held over in part to accommodate members of the Chet Atkins Appreciation Society, who will visit Nashville in July; the extension also allows the museum to present additional public programs exploring the Hall of Fame member’s robust career and lasting influence. Among the upcoming programming highlights are an April 28 interview with Jerry Bradley, and a May 5 concert saluting Jerry Reed. Nashville, TN -- Young songwriters will fill the Country Music Hall of Fame® and Museum's Ford Theater with songs about homework, homesickness, tropical islands and more on Tuesday, April 24, during the museum's annual Words & Music Night. The Words & Music program is made possible by the Country Music Association Endowment for Words & Music. Grammy Award-Winning Vocal Group Diamond Rio will be hosting the event. 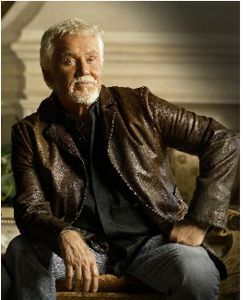 Nashville, TN -- Legendary entertainer Kenny Rogers will bring his signature soulful voice, his catalog of hits and the stories behind the music when he takes the Ford Theater stage as the Country Music Hall of Fame® and Museum's 2012 Artist-in-Residence. 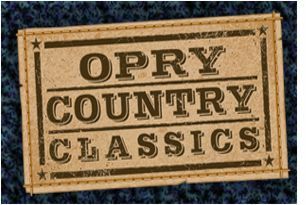 Rogers will present two intimate evening performances on May 9 and 10 at 7:00 p.m.
Nashville, TN -- The unforgettable songs traditional country music fans love most are set to take the stage of the historic Ryman Auditorium in the return of Opry Country Classics Thursdays March 29 - May 24. Grammy-winner Larry Gatlin returns as show host each week, welcoming artists who'll perform their own country hits as well as timeless favorites by the likes of Johnny Cash, Patsy Cline, and more.